Nesta Dynamic Challenge in London started their business in 2013. They had an innovative idea to reduce greenhouse gases. 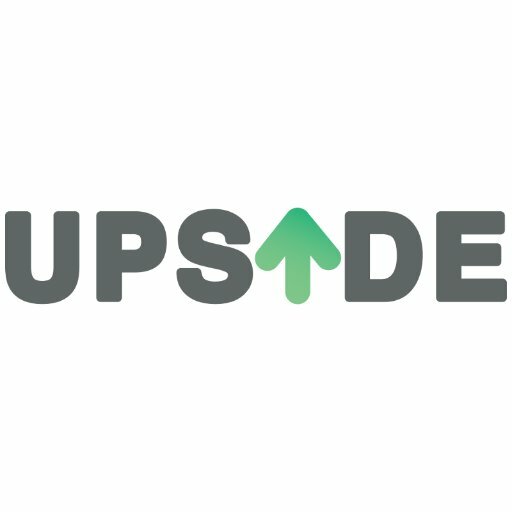 Upside is developing a cloud service that collects energy stored in systems that people and business already use e.g. solar panels, electric vehicles and domestic heating systems. At peak times the electricity grid runs dangerously short of capacity, forcing power to come from the oldest, dirtiest, most expensive power stations. But this pays people to not use electricity at peak times by creating this Virtual Energy Store that the company sell to the grid to help it balance supply and demand. In my lifetime, the use of technology and electricity has peaked. New born babies are playing with iPads instead of toys. Technology in design is more and more important, leading to bigger computers and 3D printers using more and more energy. Dr’s are even talking about this new technosphere that is taking over the biosphere. Technology and energy is emerging as a geological force. Being a young designer in the technosphere means care is needed. We need to be aware of the energy we use up and cutting down is vital. In my past work I haven’t used much energy, I base my designs around the handmade leading to a lot of energy for me but not so much artificial energy. Nesta Dynamic Challenge. (2013). Upside energy. Available: http://upsideenergy.co.uk/. Last accessed 18th Oct.